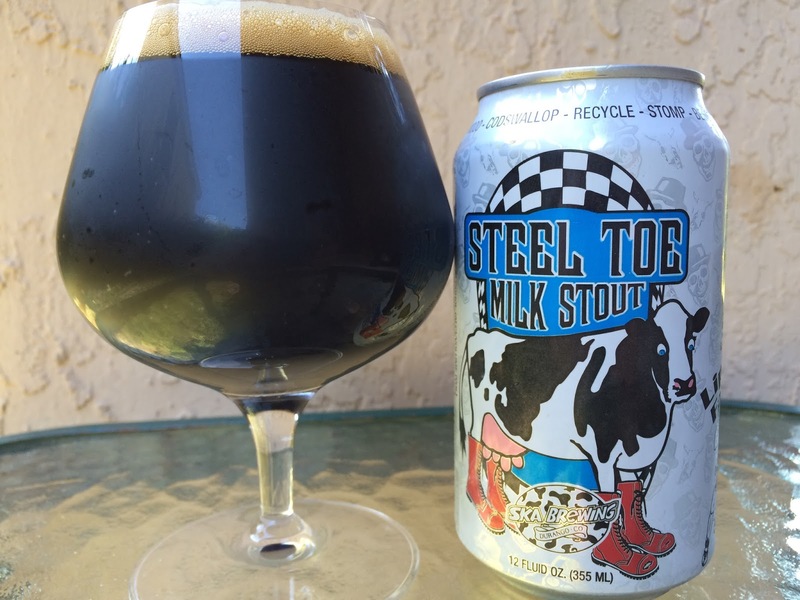 Today I'm checking out Steel Toe Milk Stout brewed by Ska Brewing in Durango, Colorado. The cow on the can is wearing four lace-up knee boots, presumably steel-toed. 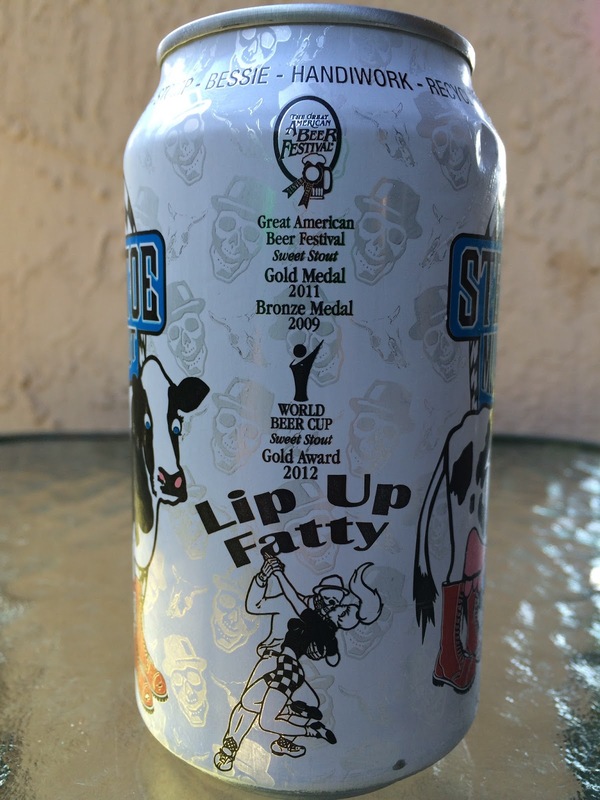 Awards are listed on the side including two GABF medals in the past five years. Around the rim: MOO CODSWALLOP RECYCLE STOMP BESSIE HANDIWORK RECYCLE KICK MUSTACHE RECYCLE.5.5% alcohol. Enjoy By JUN 23 16. Big chocolate aroma with some roast and a light raisiny touch. Sweet chocolate flavors as well. Good roast adds nice interest and is not harsh in the slightest. Creamy, milky. Sweet prunes and raisins show again along with hints of coffee. Sugary, definitely leans sweet, but enough balance is there. Pretty good.